It's always at the end of the year, looking back, that the last 12 months seem to have flown by. Where did the time go? More outfit posts than ever! Vancouver Vogue posted 52 outfits this year - 16 more than last year! Participating this this all-too-real-and-hilarious "I Am An Instagrammer" video. Oh and this adorable LOVE video too. Spreading the word that Kindness is One Size Fits All for Pink Shirt Day! Working with London Drugs Beauty on more fabulous and fun makeup videos: blue eyeliner, Harley Quinn Halloween, Holiday Gift Guide. Celebrating National Thrift Shop Day with Value Village. The Deighton Cup horse races in Vancouver - our city's excuse to wear a fancy dress and fascinator. Vancouver Vogue started a weekly beauty section on Fridays (stay tuned for more). 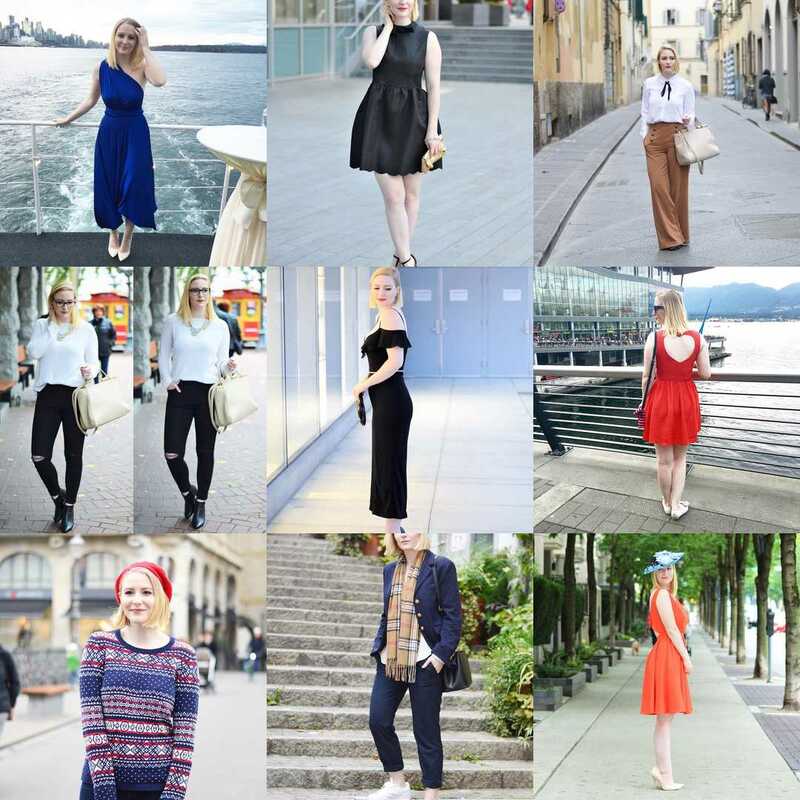 Judging by Vancouver Vogue's Best Nine 2016 on Instagram (the grid of 9 photos below), you want to see more outfit photos in 2017, so don't worry, there will be lots more to come in the New Year! What else do you want to see more of here? Thrifting? Style tips? Beauty? Lifestyle? Let me know in the comment section below. Thank you for your blog. My fav post was about the 'white' dinner and the posts about Value Village 60 pound design challenge.